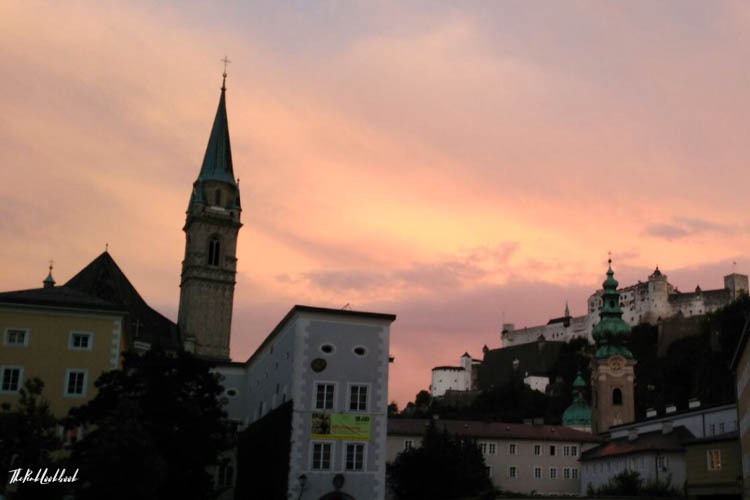 Salzburg is one of my favourite cities. No matter if it is summer or winter, it is always worth a trip. I put together my personal recommendations. 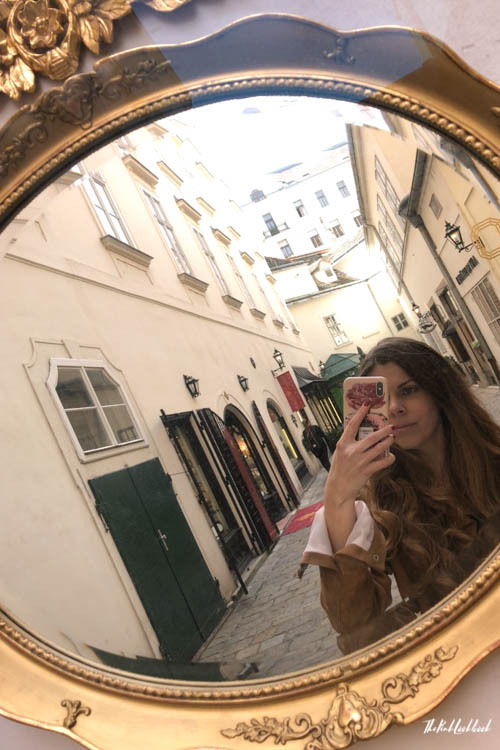 But I also have something very special for you: my friend and fellow entrepreneur Amelie Gross, a Salzburg local, shares her insider’s tips with you as well. Thank you, Amelie, for all your recommendations! 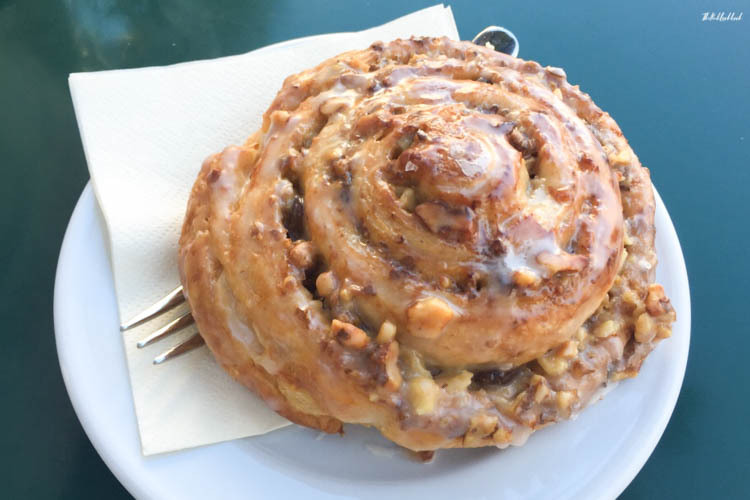 For authentic Austrian food, try K&K am Waagplatz (Waagplatz 2) or Sternbraeu (Griesgasse 23). 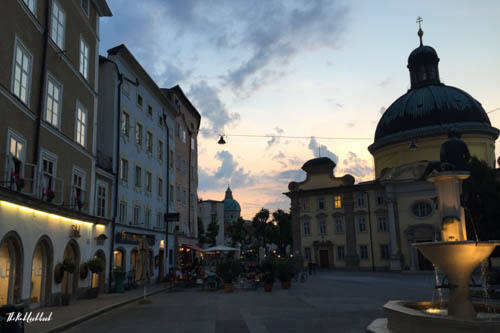 Triangel (Wiener Philharmonikergasse 7) is the place to be during the festival season. The decor is rustic, you sit on a type of beer bench. 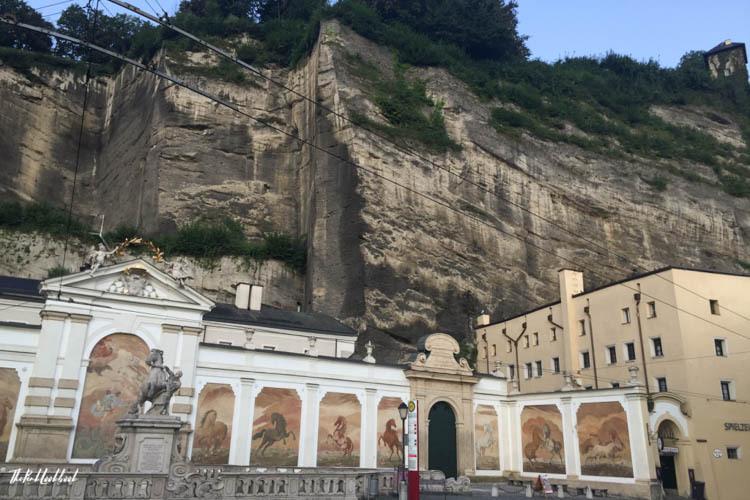 However, the food and wine are delicious and it is a chance to mingle with the artists and celebrities of the Salzburger Festspiele. 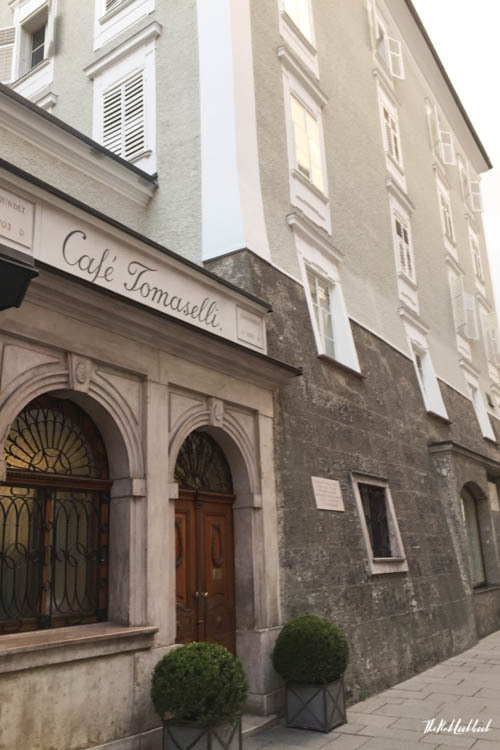 Have a mocca ice cream or a Nusskipferl (pastry with nuts) or Nusskipferl (nut swirl) at the traditional Café Tomaselli (Alter Markt 9) – when you walk towards the café, do not overlook the historic weather station on the left. 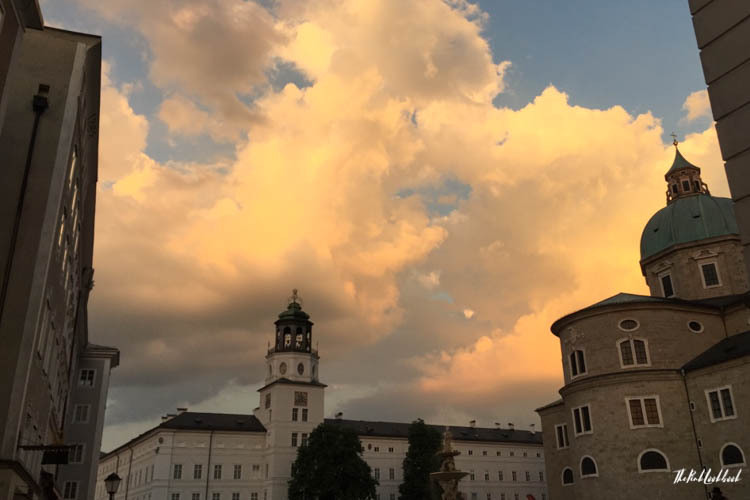 The above-mentioned Imlauer Sky – Bar and Restaurant should be your first address if you have business meetings in Salzburg. Locals also flock the beautiful terrace for after-work drinks. 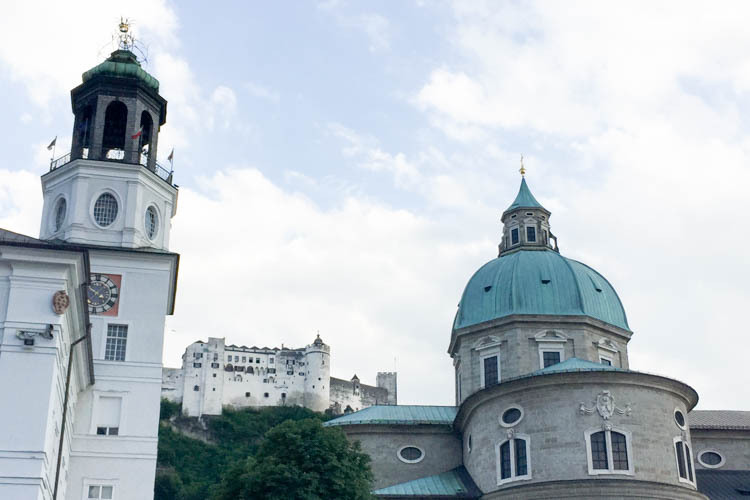 The peak season in Salzburg is during the music festival in summer. Wherever you walk, the view of the fortress is always accompanying you. This view is worth the hike. The lazy ones can take the lift up to the Moenchsberg and then walk along the path on top of the mountain. 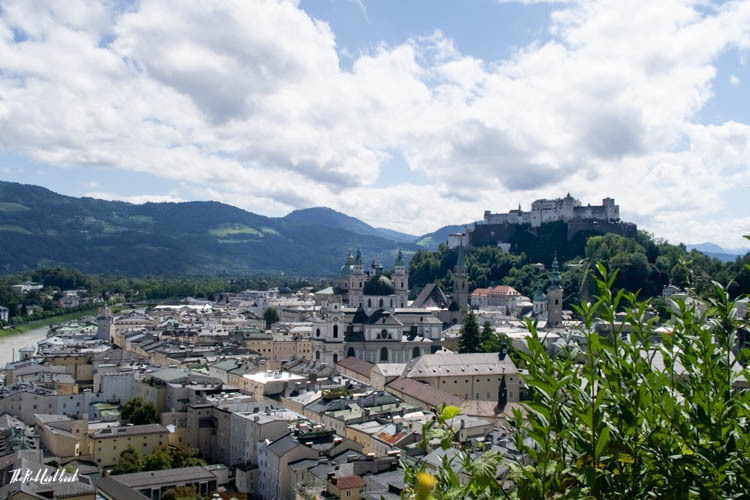 Walk along the trail to the Fortress Hohensalzburg and enjoy the view over the city and of the mountains. 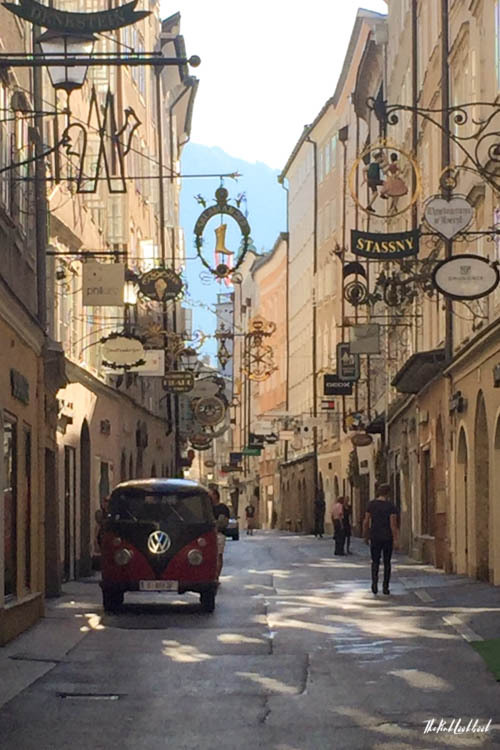 The Getreidegasse is usually incredibly crowded. If you wake up early, you may get a glimpse of the calm shopping street before the storm. 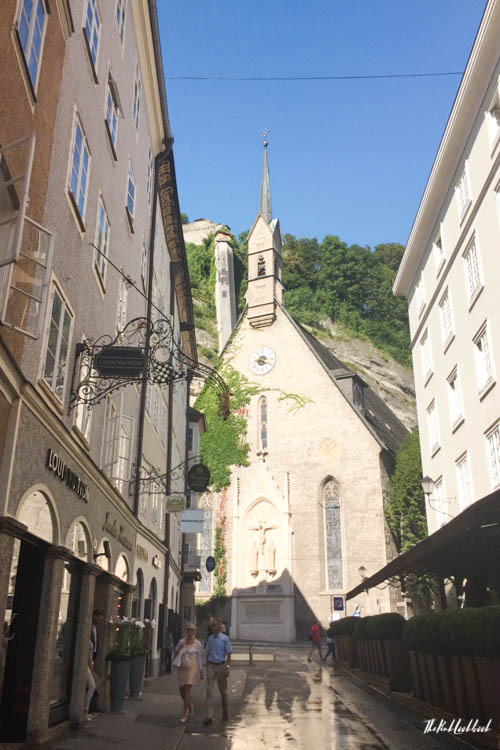 Parts of the city are built into the rock of the Moenchsberg. It is really impressive to look up. 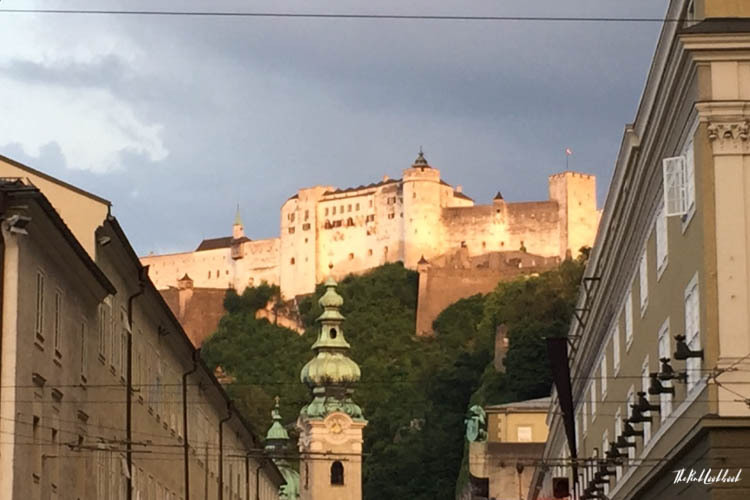 Mornings at the Getreidegasse facing the Moenchsberg. If you look closely, you can see the lift up to the museum. 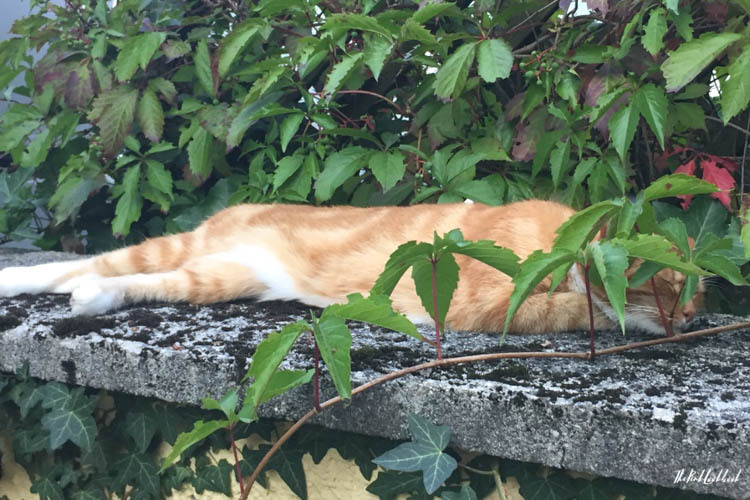 There is a way up even for the lazy ones. Salzburg has a small airport which you can reach from the big European hubs. 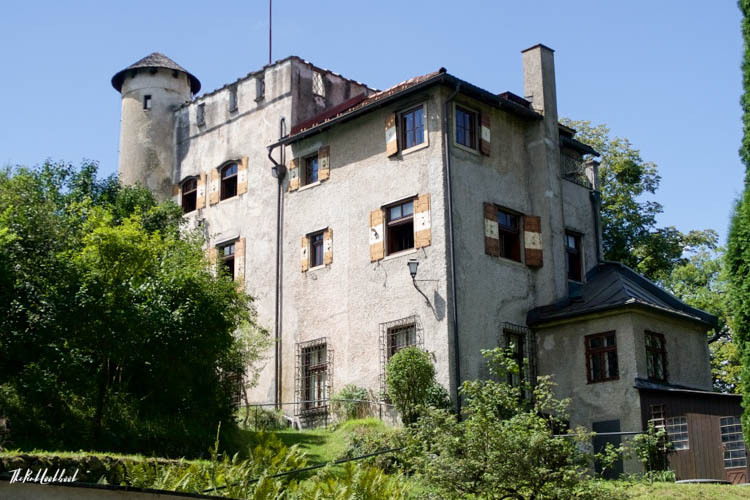 An alternative is to fly to Munich or Vienna and then rent a car or take the train. 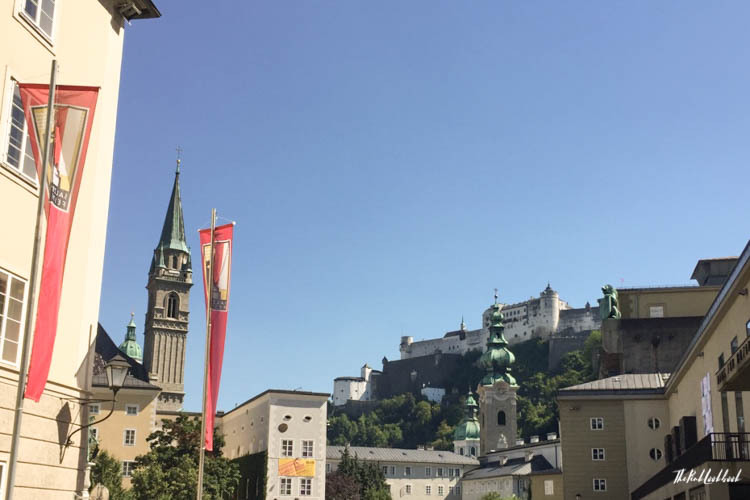 If you go to Salzburg in summer or the winter holidays, I would avoid taking the car from Munich to Salzburg as the highway A8 is notoriously jammed with holidaymakers going South. The train connection from the airport in Vienna is convenient, you will be in Salzburg within about three hours. (You do have to change trains once.) 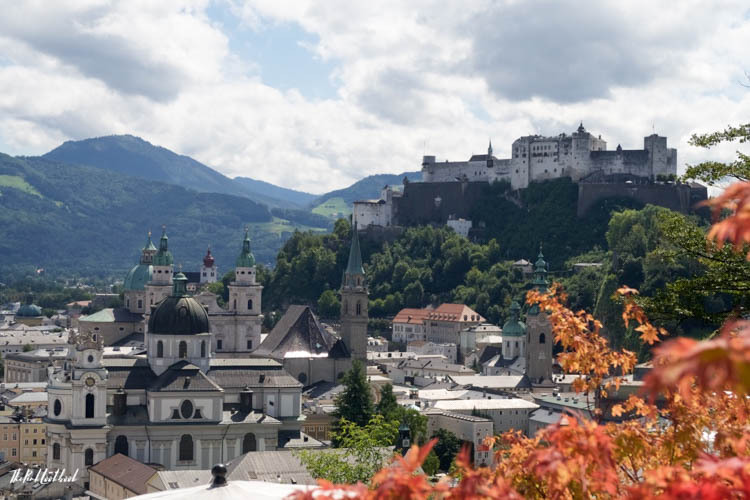 From Munich, there is a direct train to Salzburg. However, the airport is located very far from the city. You have to take a slow train from the airport to the main train station which will take about an hour. In total, I think the travel time by train from Munich will be the same as from Vienna. 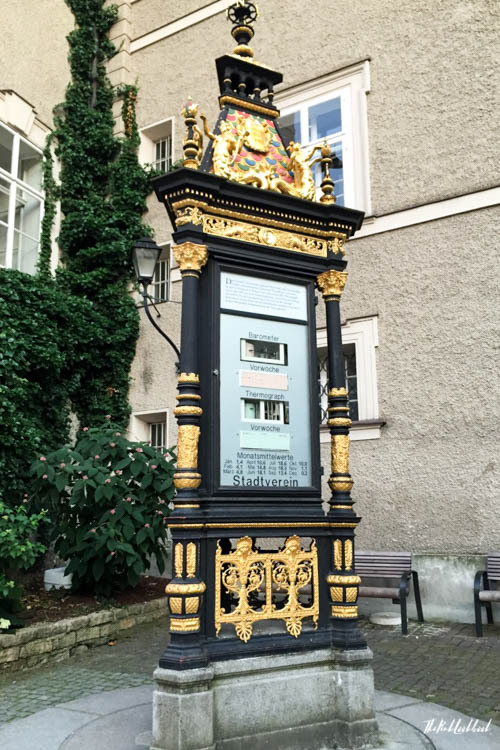 The local language is German, in Salzburg a lot of people speak English. The local currency is the Euro. Special thanks to Amelie Gross for her insider’s tips. 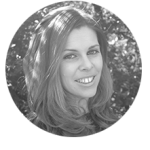 Amelie is the owner of Inkasso Merkur, a debt collection agency in Salzburg, Austria. Since 2017, she has been the head of the Junge Wirtschaft Austria (Junior Chamber of Commerce), an association representing the interests of young entrepreneurs. Read more about Amelie in my interview. 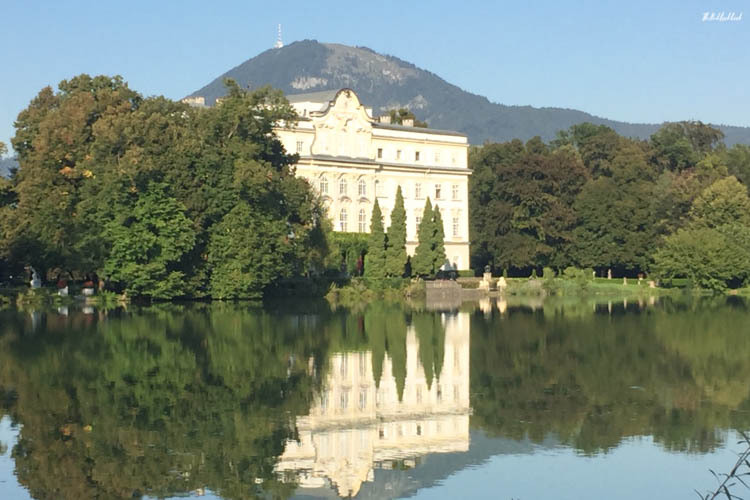 One of my best friends also recommended Salzburg and I love how a local assisted you with insider tips – makes me want to go even more! Thank you! 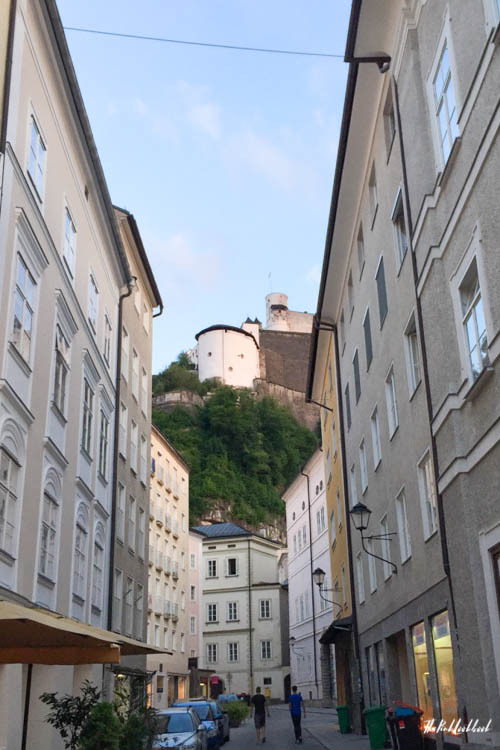 You should really visit Salzburg, it has so many things to offer and is a really lovely city! That town looks so cute!! I need to go to Austria soon! It is really worth a trip, I’m sure you’d have a good time!